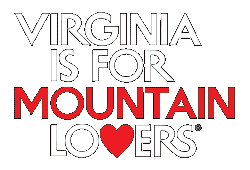 JBR Vineyards & Winery is proud to announce that our Giles County Riesling is now carried at Mountain Lake Lodge, adding a local Virginia wine to the lodge’s extensive wine list. JBR is an official Virginia Farm Winery that cultivates two types of grapes: Riesling for white wine, and Pinot Noir for red. The owners undertook an expansion of their vineyards this past spring. Look for JBR Vineyards at the Narrows Farmers Market Community Yard Sale on Friday, July 15, from 5 to 8 p.m. The market has a family-friendly “homemade and homegrown” event on the third Friday of the month. The location at 135 Monroe St. downtown. Jessee Ring (left), owner of JBR Vineyards, displays a bottle of the winery’s Giles County Riesling with Michael Richardson, beverage manager at Mountain Lake Lodge.